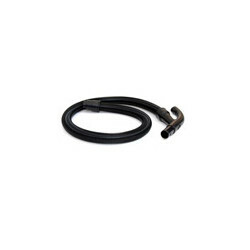 This flexible Replacement Hose is only compatible with the Backpack Series vacuums. Electrostatic Discharge (ESD) is a very serious issue in solid state electronics. The static electricity can damage sensitive electronics within the equipment causing failures & downtime. To eliminate this issue when working in and around electronic equipment is to make sure you are using certified ESD safe products. This shows if the selected product is ESD Safe or not. This indicates whether or not a product is universally compatible with 3M and other vacuums.